Welcome to Rajasthan, one of the most popular travel destinations in India. The Land of Rajas and Maharajas, Rajasthan's beautiful contrast of colors, opulent forts and palaces decors the towns and cities with & whimsical charm depicting its royalty, glorious pride & honour. 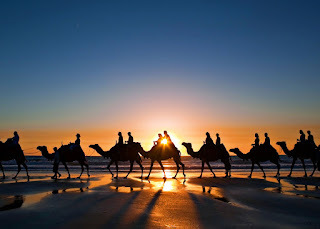 Rajasthan tour offers you wonderful tours and travel experience in this royal state of India by offering you to visualise royal palaces, fascinating forts, elegant havelis, terrific temples, interesting wildlife parks and sanctuaries, inhospitable north-western Thar Desert and many other exciting sides. There are large number of royal places which attracts tourists from across the globe. On arrival in Ahmedabad, Rovers Holidays representative will be there to greet you and transfer to the pre-booked hotel. Rest of the day is at leisure. Relax at the hotel and enjoy the warm Indian hospitality. Dinner and overnight will be at the hotel. Have your hearty breakfast at hotel. Later proceed for the full day city tour of Ahmedabad. It is a well-known city of Gujarat and also popularly known as the Manchester of the East. It is the center of business and trades in the state. You will visit several interesting places in its vicinity like Jama Masjid, Rani Sipri's Mosque, Sabarmati Ashram, Siddi Sayed Mosque, Sarkhej Roza, Teen Darwaza, Shah Alam Roza, Kankaria Lake and several beautiful gardens. There are more than 70 gardens dotted in this city. Enjoy the delicious breakfast at hotel. Later check-out form hotel and drive to Udaipur – the City of Lakes. It is regarded as the most romantic cities in India. On arrival, Rovers Holidays representative will receive you and transfer to the pre-booked hotel. Rest of the day is at leisure. Relax at hotels or proceed for exploring some beautiful lakes and enjoying boat rides. Dinner and overnight stay will be at the hotel. Have your delicious breakfast at the hotel. Later embark on full day city tour of Udaipur. You will visit popular City Palace, Pichola Lake, Fateh Saga Lake, Lake Palace, Jag Mandir, Jagdish Temple, Saheliyon-ki-Bari, Bharatiya Lok Kala Mandir, Fateh Prakash Palace, Maharana Pratap Memorial, Rose Garden and other interesting tourist sites. At evening enjoy the boat ride over scenic Pichola Lake. Dinner and overnight stay will be at the hotel. Have your delicious breakfast at the hotel in early morning. 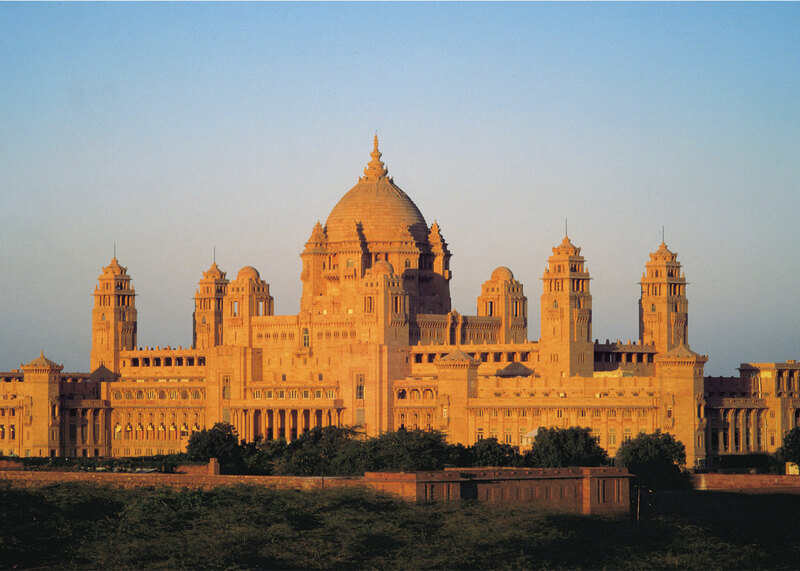 Later check-out from hotel and drive to Jodhpur – the Sun City of India. It is very well known for forts, palaces, desert areas, crystal clear sky and sunny days. En route you will visit Ranakpur Jain Temple. The temple is the live example of excellent Indian architectural works. The temple also houses a more than five hundred years old tree. On arrival in Jodhpur, Rovers Holidays representative will receive you to transfer to the pre-booked hotel. Rest of the day is free. Dinner and overnight stay will be at the hotel. Have your hearty breakfast at the hotel. Proceed for the full day city tour of Jodhpur. Visit its popular attractions including Umaid Bhawan Palace and Museum, Jaswant Thada, Mehrangarh Fort and Ghanta Ghar. At evening, enjoy the scenic views of the city at the time of sunset from majestic Mehrangarh Fort. Later return back to the hotel. Dinner and overnight will be at the hotel. Morning is at leisure. Enjoy the delicious breakfast at the hotel. Later check-out drive to Pushkar. It is one of the holiest cities of Hindus. The city is mainly known for an ancient temple of Lord Brahma. On arrival, Rovers Holidays representative will receive you and transfer to the pre-booked hotel. Rest of the day is at leisure. Relax at the hotel or visit local markets of Pushkar. At early morning check-out from hotel and proceed to Lord Brahma Temple Complex. First take a holy dip in sacred Pushkar Lake and afterwards pray at Lord Brahma Temple. Breakfast will be at any restaurant in surroundings. Visit other popular attractions of the place. Later drive to Ajmer, about 10 km distance from Pushkar Temple Complex. Ajmer is the most popular pilgrimage of Muslims in India known for the Dargah of Saint Moinuddin Chisti. After visit this popular pilgrimage drive to Jaipur, the capital city of Rajasthan and also famed as Pink City in all over the world. On arrival, Rovers Holidays representative will receive you and transfer to pre-booked hotel. Rest of the day is free. Dinner and overnight stay will be at the hotel. Have your delicious breakfast at hotel. Later proceed for the full day city tour of pink city Jaipur. Visit its popular attractions including City Palace, Amber Fort, and Hawa Mahal, Jantar-Mantar observatory, Nahargarh Fort, Jaigarh Fort, Sheesh Mahal, Laxmi Narayan Temple, Birla Temple and other popular places. Later return back to the hotel. Dinner and overnight will be at the hotel. Enjoy hearty breakfast at the hotel. Later check-out and drive to Agra – the city of Taj Mahal. En route you will visit Bharatpur Bird Sanctuary and Fatehpur Sikri. On arrival in Agra, Rovers Holidays representative will receive you and transfer to the pre-booked hotel. Rest of the day is at leisure. Relax at the hotel. Dinner and overnight stay will be at the hotel. Have your hearty breakfast at the hotel in early morning. Later proceed to the Taj Mahal Complex for impressive views of this Taj at the time of sunrise. After enjoy the beauty of Taj you will visit other popular tourist places of the city including Agra Fort, Itmad-ud-Daulah Tomb, China Tomb and Ram Bagh gardens. Later Rovers Holidays representative will transfer you to Airport for your flight to Delhi. Rajasthan Tourism is benchmarked for the warm hospitality and Internationally Awarded Hotels & Resorts. Here you'll see a perfect amalgamation of ages old traditional culture, modern luxury and comforts. Touring Rajasthan is a unique experience which leaves you spell bounded as you explore it more & more. A representative of Rover Holidays will receive you from New Delhi International Airport and transfer you to the pre-booked hotel. Dinner and overnight stay will be at the hotel. Take breakfast at the hotel and then embark on full day sightseeing tour of Delhi – the capital city of India. Major attractions to see in this city include Red Fort, Jama Masjid, Chandani Chowk, Rajghat, India Gate, President House, Parliament House, Old Fort, Humayun's Tomb, Qutub Minar, Lotus Temple, Birla Temple, National Museum and Connaught Place. Dinner and overnight stay will be at the hotel. After breakfast at the hotel, drive to Mandawa – a historical town located in Shekhawati region of Indian state of Rajasthan. Upon arrival in Mandawa, you will be transferred to the pre-booked hotel. Relax. Later proceed on Mandawa tour covering Fort Mandawa Castle and magnificent merchant havelis. Havelis of Shekhawati region are known for exquisite frescos, murals and wall paintings. Dinner and overnight stay will be at the hotel. After breakfast check out from hotel in Mandawa and drive to Bikaner – a beautiful city located on the edge of the Thar Desert in Rajasthan. Upon arrival in Bikaner you will be transferred to the hotel. Relax. Later proceed on Bikaner tour covering Junagarh Fort, Lalgarh Palace and Camel Breeding Farm & Research Centre. Dinner and overnight stay will be at the hotel. After breakfast drive to Jaisalmer – a city of Rajasthan located in the middle of the Thar Desert. 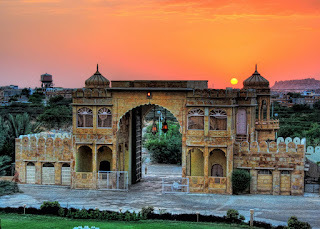 Check-in at the hotel on arrival in Jaisalmer – the Golden City of India. Later proceed on Jaisalmer tour covering Golden Fort, Jain Temples and Merchant Havelis. 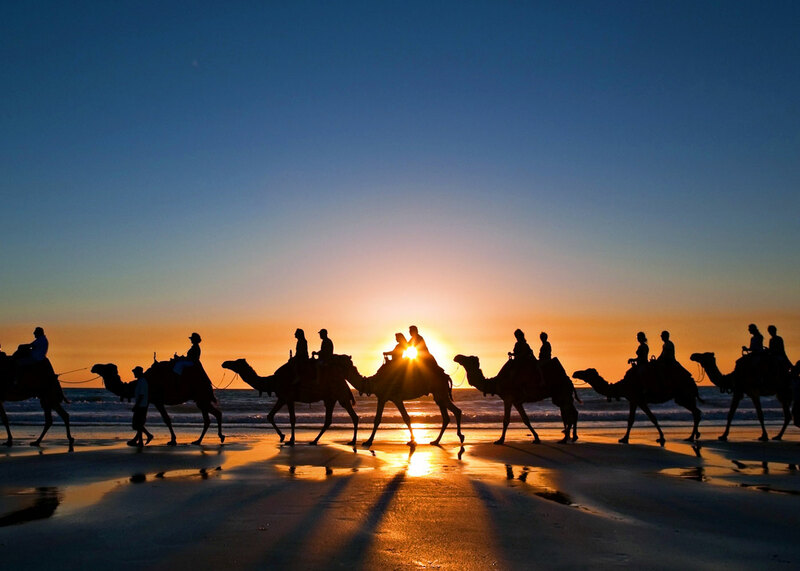 Enjoy camel ride safari to see the Sam Sand Dunes. Dinner and overnight stay will be at the hotel. Take your breakfast and then drive to Jodhpur – the second largest city of Rajasthan. Check-in at the hotel on arrival in Jodhpur. Later proceed on Jodhpur tour covering Mehrangarh Fort, Jaswant Thada Memorial and Umaid Bhawan Palace. Dinner and overnight stay will be at the hotel. Have a very hearty breakfast at the hotel. Drive to Udaipur en route seeing famous Ranakpur Jain Temples. Upon arrival in Udaipur, Rover Holidays representative will transfer you to the pre-booked hotel. Spend rest of the day at leisure. Dinner and overnight stay will be at the hotel. Have a very hearty breakfast at the hotel. Proceed on sightseeing tour of Udaipur – the City of Lakes and Palaces. Udaipur is a beautiful city in Rajasthan. It is considered to be one of the most romantic cities in India. It is also called the Venice of the East and the Kashmir of Rajasthan. Major attractions to see in this beautiful city include City Palace, Lake Palace, Jagmandir Palace, Pichola Lake, Jagdish Temple, Eklingji Temple, Saheliyon-Ki-Bari, Monsoon Palace, Vintage Car Collection, Bharatiya Lok Kala Mandal, etc. Enjoy boat ride on Pichola Lake in the evening. Dinner and overnight stay will be at the hotel. Take your hearty breakfast at the hotel. Later drive to Jaipur – the capital and largest city of Rajasthan. Jaipur is one of the most sought after tourist destinations in Rajasthan and India. It is fondly known as the Pink City of India. Upon arrival in Jaipur, Rover Holidays representative will transfer you to the pre-booked hotel. Freshen up and relax. Spend rest of the day at leisure. Dinner and overnight stay will be at the hotel. Have a very hearty breakfast at the hotel. Embark on full day sightseeing tour of Jaipur – one of the well planned cities in India. Major attractions to see in this city include Amber Fort (by elephant ride), Jaigarh Fort, Nahargarh Fort, Jal Mahal Palace, Hawa Mahal (the Palace of Winds), City Palace Complex, Jantar Mantar Observatory (UNESCO World Heritage Site), Birla Temple, Kanak Vrindavan, Rambagh Palace and Albert Hall Museum. Explore colorful local bazaars in the evening. Dinner and overnight stay will be at the hotel. After hearty breakfast at the hotel drive to Agra in Uttar Pradesh en route visiting Fatehpur Sikri. Upon arrival in Agra, Rover Holidays representative will transfer you to the hotel. Later proceed on Agra tour covering Taj Mahal (one of the Seven Wonders of the World), Agra Fort and Itmad-Ud-Daullah Tomb. Dinner and overnight stay will be at the hotel. Visit the Taj Mahal at sunrise. Return to hotel for breakfast. Later drive back to Delhi. On arrival in Delhi, Rover Holidays representative will transfer you to the pre-booked hotel. Relax. Finish your last minute shopping. After a farewell dinner you will be transferred to the New Delhi International Airport on time. Take flight back to your home / onward destination with sweet memories of Rajasthan cultural tours in India. Welcome to Rajasthan, one of the most popular travel destinations in India.Jaipur – the Pink City of India, Pushkar – the holy city with is holy lake, Jaisalmer – Jewel of Desert, Udaipur – the Romantic City of India, Bharatpur – Ornithologists Paradise, Mount Abu – Oasis of the Desert and many other brilliant destinations. 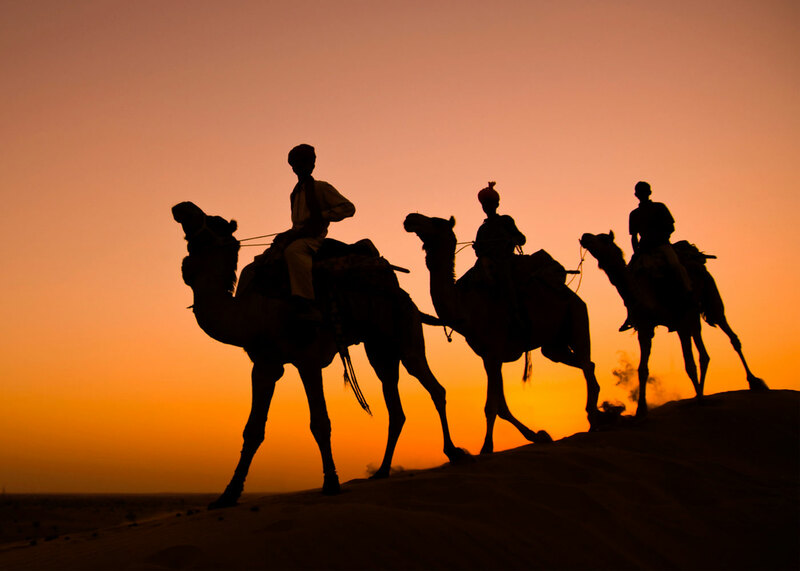 Rajasthan tours offer you to enjoy wonderful camel safari over the simmering Thar Desert and reveal the hidden beauty of the Golden Sand. On arrival at Delhi Airport, Rovers Holidays representative will give you a warm welcome in traditional Indian style and transfer you to the pre-booked hotel. Rest of the day is at leisure. Relax at the hotel. Dinner and overnight will be the hotel. Have your delicious breakfast at the hotel. Later check-out form hotel and drive to Agra. En route you will visit Sikandra Tomb. Later continue to Agra. On Arrival, Rovers Holidays representative will transfer you to the hotel. After some rest proceed for the sightseeing of Agra. You will visit popular Taj Mahal, City Fort, Itmad-ud-Daulah Tomb and other popular attractions. Later return back to the hotel for dinner and overnight stay. Have your hearty breakfast at hotel in early morning. Later check-out form hotel and drive to Jaipur. En route you will visit popular town Fatehpur Sikri. The town is known for several important historical structures including a huge gateway called as Buland Darwaza. On arrival at Jaipur, Rovers Holidays representative will receive you and transfer to the hotel. Rest of the day is free. Relax at hotel. Dinner and overnight will be at the hotel. Have you delicious breakfast at the hotel. Proceed for the full day city tour of Jaipur. The city is very well known for magnificent forts and palaces and pilgrimages. Visit its popular attractions including City Palace, Hawa Mahal, Amer Fort, Nahargarh and Jaigarh forts, Astrological Observatory, Sheesh Mahal, etc. At evening, enjoy shopping at local street markets of the city. It is famous for shopping of gems, jewelries, quilts, carpets, handicrafts, leather footwear and other customary items. Return back to the hotel for dinner and overnight stay. Have your delicious breakfast at hotel. 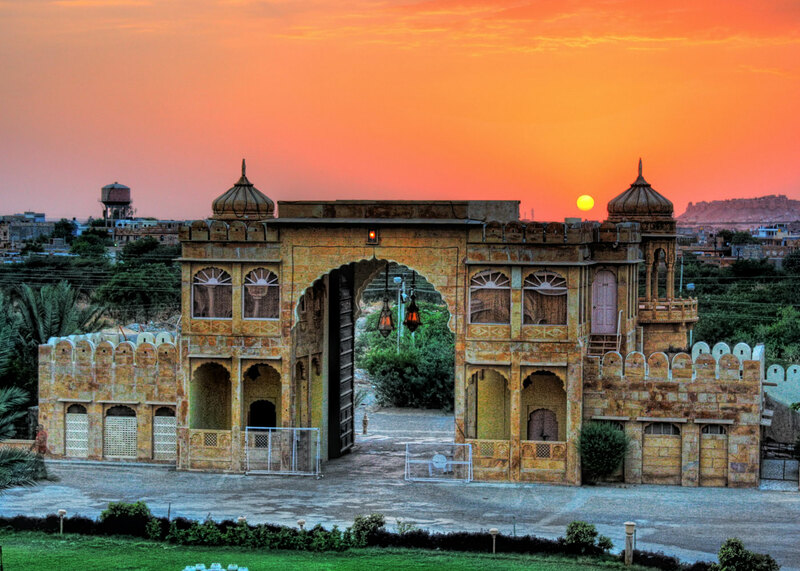 Later check-out form hotel and drive to Bikaner, a very popular historical city of Rajasthan. On arrival, Rovers Holidays representative will receive you and transfer to pre-booked hotel. After some rest proceed for the city tour of Bikaner. Visit magnificent Junagarh Fort, Laxmi Niwas Palace, Lalgarh Palace, Laxmi Nath Temple, Bhandasar Jain Temple and other popular attractions. At evening visit Camel Breeding Research Farm of Bikaner. It is the Asia's largest camel breeding center. Afterwards walk through the rushed local market to hotel. Dinner and overnight will be at the hotel. After breakfast check-out form hotel and drive to Jaisalmer. It is the beautiful desert city of Rajasthan known for grand forts, old masons, Jain temples, desert safaris and sand dunes. On arrival, Rovers Holidays representative will receive you and transfer to the pre-booked hotel. Rest of the day is at leisure. Relax at the hotel dinner and overnight will be at the hotel. Enjoy the hearty breakfast at hotel. The whole day is reserve for sightseeing of Jaisalmer. Embark on full day sightseeing tour of the city. You will popular Jaisalmer Fort located at the top of the city, several old Jain temples and old masons. The grand Jaisalmer Fort was made up of Yellow sandstones and looks very impressive in sunshine. It also offers stunning views of the city in all directions. Patwon Ki Haveli and Nath Ji Mal Ki Haveli are also two popular tourist attractions of the city. Have your delicious breakfast at hotel. Later drive to Jodhpur. On arrival, Rovers Holidays representative will receive you and transfer to pre-booked hotel. After some rest proceed for the sightseeing of the city. You will visit majestic Mehrangarh Fort, Jaswant Thada, Ghanta Ghar and several other popular places. At evening enjoy the impressive sunset views from high Mehrangarh Fort. Later return back to the hotel. Dinner and overnight will be at the hotel. After breakfast at early morning drive to Udaipur. En route you will visit amazing Ranakpur Jain Temple. It is boated by the outstanding architectural beauty. On arrival at Udaipur, Rovers Holidays representative will receive you and transfer to the pre-booked hotel. After some rest proceed for the city tour of Udaipur. Visit its popular attractions including City Palace, Lake Palace, Maharana Pratap Memorial, Rose Garden, Jagdish Temple, etc. Dinner and overnight will be at the hotel. Have your delicious breakfast at early morning. Check-out form from hotel. Visit some popular lakes of the city and enjoy boat rides. Pichola Lake, Fateh Sagar, Jasmand, Rajsamand and Dudh Talai are the some popular lakes of the city. Later Rovers Holidays representative will transfer you to the Airport for you flight to Delhi. Tourism in Rajasthan never fails to lure tourist's heart who comes here to enjoy holidays exploring the beauty of the royal charm hidden in the golden sands, graceful forts and elegant havelis. Rajasthan in India is a land of dream, where at least for once you will feel living like King. Take out time and visit this royal state, globally acclaimed for its heritage and cultural beauty which is certainly an experience that you must live once in a lifetime. Head Office at Delhi we have best of liaison with the Hotels and Resorts in Rajasthan and the associated Vendors. Our website displays information which will help you to plan Travel across Rajasthan. We can also design a Tailor made Itinerary to include Taxi and tourist activities. We have a Team of dedicated and experienced Travel professionals who would be at your service for any kind of assistance round the clock. On arrival at Delhi Airport, Rovers Holidays representative give you a warm welcome in traditional India style and transfer you to the pre-booked hotel. After some refreshment and rest drive to Jaipur – the Pink City of India. In Jaipur you will pass from several important tourist attractions like City Palace, Hawa Mahal, Jantar-Mantar observatory, etc. On arrival, check-in into the hotel. Dinner and over night will be at the hotel. Have your delicious breakfast at hotel. Later check-out from hotel and drive to Bikaner. En route you will explore several popular historical places including several old and colorful masons, forts and palaces. On arrival at Bikaner, Rovers Holidays representatives will give you a warn welcome and transfer to pre-booked hotel. Take rest at the hotel. 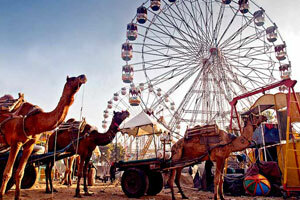 In evening, you can visit camel breeding center of Bikaner. Dinner and overnight will be at the hotel. Morning is at leisure, enjoy the delicious breakfast at hotel. Later proceed for the city sightseeing of Bikaner. It includes Junagarh Fort, Laxmi Niwas Palace, Lalgarh Palace, Laxmi Nath Temple, Karni Mata Temple, Shiv Bari Temple and some other popular places. After sightseeing, proceed for Jaisalmer, the desert city of India. At evening enjoy the impressive views of popular golden fort. Later Check-in into the hotel. Dinner and overnight will be at the hotel. Morning is at leisure, have your delicious breakfast at hotel. The whole day is reserve for the sightseeing of Jaisalmer. The city is famous for forts, old and colorful masons, old Jain temples and sand dunes. Visit popular Patwon-ki-Haveli, Salam Singh-ki-Haveli, Jain heritage of Jaisalmer, Desert Culture Centre and Museum, Government Museum and Gadsisar Lake. Later return back to the hotel for dinner and overnight stay. Have your delicious breakfast at hotel early in the morning. 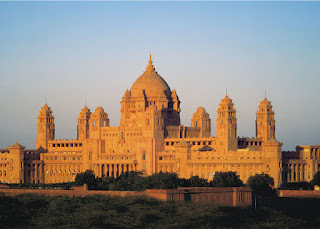 Check-out form hotel and drive to Jodhpur famed as Sun City of India. You will visit several popular places on the way including Bishnoi villages and Pokhran. On arrival, Rovers Holidays representative will receive you and transfer to pre-booked hotel. After some rest proceed for the city tour of Jodhpur. Visit its popular attractions including grand Mehrangan Fort Jodhpur's attractions include Mehrangarh Fort, Umaid Bhawan Palace, Jaswant Thada, and Ghanta Ghar. Later return back to the hotel dinner and night stay. Have your delicious breakfast at hotel. Later check-out from hotel and drive to Mount Abu, the only hill town in Rajasthan. En route you will explore several important Jain temples and important historical structures. On arrival, Rovers Holidays representative will receive you and transfer to pre-booked hotel. Take rest at hotel or enjoy the scenic beauty of surroundings. At evening proceed to popular sunset point at picturesque Nakki Lake. Later return back to the hotel. Dinner and overnight stay will be at the hotel. Have your delicious breakfast at early morning. Proceed for the sightseeing of Dilwara Jain temples. Return back to the hotel and check-out. Drive to Udaipur popularly known as the "City of Lakes". On arrival Rovers Holidays representative will receive you and transfer to pre-booked hotel. Rest of the day is at leisure. Relax at hotel or enjoy some quality time in romantic surroundings of the city. Dinner and overnight will be at the hotel. Have your delicious breakfast at hotel. The whole day is reserve for the sightseeing of Udaipur. Visit its popular attractions including majestic Udaipur City Palace, Rana Pratap Memorial, Saheliyon Ki Bari, Haldi Ghati, Rose Garden, Fateh Sagar Lake, Dudh Talai Lake, Jasmand Lake and other popular attractions. At evening enjoy the boat ride over scenic Pichola Lake, the most popular lake of Udaipur. This beautiful lake also houses two scenic islands, namely they are Jag Niwas and the Jag Mandir. Dinner and overnight will be at the hotel. Have your delicious breakfast at hotel. Later check-out form hotel and drive to Ajmer. The town is known for Tomb of Saint Moinuddin Chisti in all over the world. It is the most blessed place Muslim Religion in India. After visiting this shrine proceed to Pushkar, one of the holiest cities of Hindus in India. It is known for an important temple of Lord Brahma. The temple has great importance in Hindu Mythology. Later drive to Jaipur. On arrival Rovers Holidays representative will transfer you to pre-booked hotel for dinner and overnight. This is the last day of your tour. Take farewell breakfast at hotel and relax for some time. Later Rovers Holidays representative will transfer you to Jaipur Airport for onward journey for your flight to Delhi. He will also assist you for custom clearance and check-in formalities. Fly to Delhi with some sweet memories.